In 2017, Apple launched the phone that it said would shape the future. One which delivered on the promise of finally having a phone with a big screen that didn’t take up much space in your hand or your pocket. For 2018, the range has had a upgrade, and this year Apple decided to make a big phone with an even bigger screen. When the manufacturer told us the iPhone X was a taste of the future, it wasn’t kidding. iPhone XR, iPhone XS and the iPhone XS are all built on the foundation started by the iPhone X (big screen/no bezels) and expand. The biggest of those, and the most expensive of those, is the iPhone XS Max. It’s the ultimate in big premium flagship phones, but with prices up to £1,500, it’s surely pushing the boundaries of what anyone is willing to spend on a handheld computer, no? Since the original iPhone X, it’s become a look mimicked by almost every other manufacturer, although the iPhone’s frame, particularly the bottom bezel, is impressively slim boosting the striking appearance of the display. Place it alongside the Samsung Galaxy Note 9, for example, and it’s noticeably shorter despite having a display that’s slightly larger. In fact, it’s only slightly taller than the OnePlus 6, which has a screen 0.2-inches smaller diagonally. Whatever opinions you have on Apple, the efficient use of space on the front here is brilliant. As with the X and newer XS, the frame is made from a polished stainless steel, a high end appearance and a sturdy feel in the hand. Combined with the glass back, and the weight, it doesn’t feel too dissimilar to the 8 Plus, although the polished metal frame does feel more grippy than the aluminium of previous iPhones. The polished steel on our gold review unit contrasts well with the black glass on the front, while the cream/peach glass back has a reflective gold sheen giving off a metallic finish similar to a lot of current smartphones. Although it doesn’t have the eye-catching colour-changing properties of the likes of Huawei, Honor and HTC phones, still looks great. 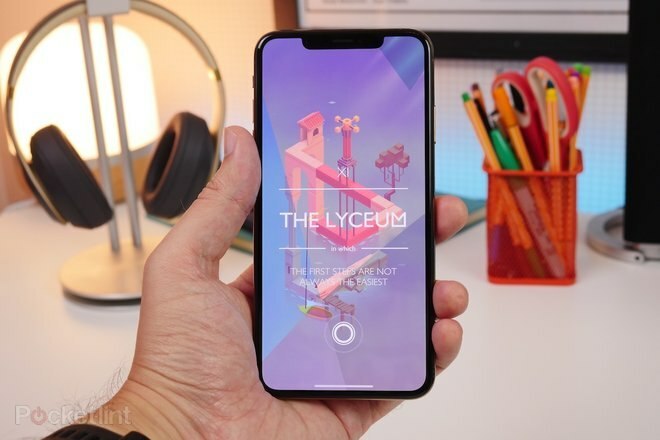 The notch is something that’s caused controversy ever since it first appeared on the iPhone X in 2017. Since then, it’s been copied by many competitors to expand the screen-to-body ratio. Until a more elegant solution is found, we feel it’s a compromise worth making. 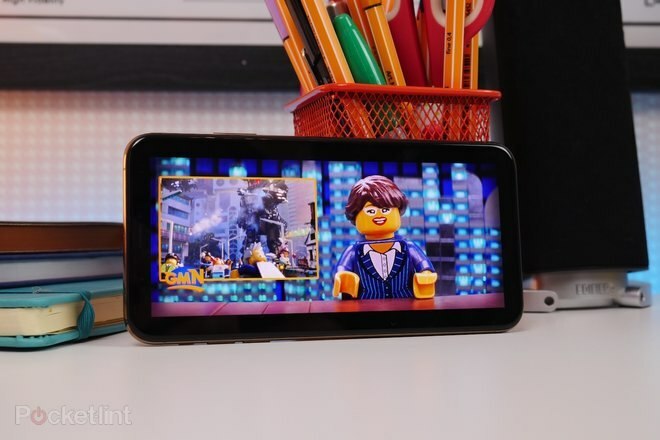 In daily use, for the most part, it doesn’t negatively impact the awesome viewing experience that is offered by the iPhone’s 6.5-inch OLED display. Of course, we’d rather it wasn’t there, but with the addition of advanced and convenient Face ID recognition (which we’ll go into later) it’s justified. 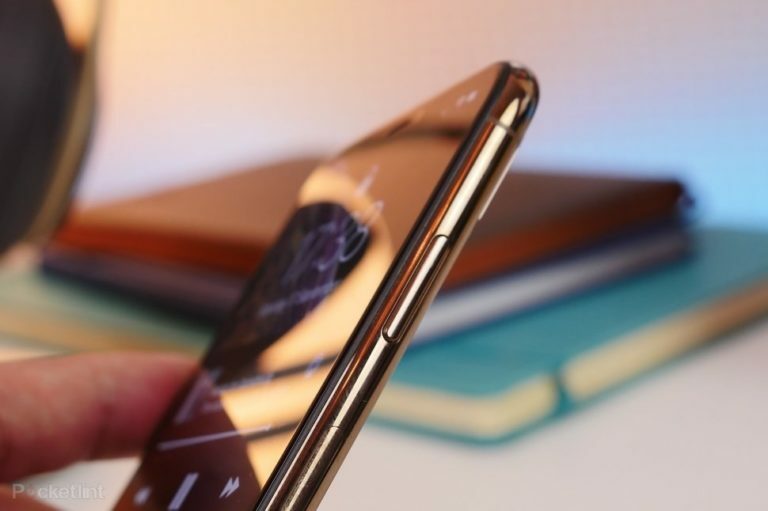 We’d much rather that than a sliding mechanism like the Oppo Find X that negatively impacts the structural integrity of the device and makes it vulnerable to dust and water ingress. As for resolution, it’s long been the case that Apple avoids media standard defaults. Rather than a QHD+ resolution, 1242 x 2688 spread over the aforementioned 6.5-inch panel, giving a pixel density of 458 pixels per inch. That puts it among some of the sharpest screens out there, putting it somewhere between the full HD+ panel of the OnePlus 6 and the Quad HD+ panel of the Note 9. That’s to say, you won’t be able to see any individual pixels here. Details are sharp, fine text is crisp and the whites and colours are really nicely balanced and tuned. What’s more, with it being capable of displaying both HDR 10 and Dolby Vision standards of HDR video, compatible movies do look really good on it. While visually the screen is fantastic, the size does lend itself perhaps to be used as a miniature notepad of sorts. We’d love to have seen Apple incorporate support for the Apple Pencil, giving it that extra edge over its smaller sibling and giving the Note 9 some genuine like-for-like competition. You wouldn’t want to use it for iPad Pro-level sketching and drawing, but for quickly annotating images, making short lists and sketching ideas, it could be a convenient addition. Apple made a big deal of its new A12 Bionic process, and for good reason. It’s among the first to make use of the 7nm process, making it possible to have much more power coming from a much smaller chip that’s also more efficient. It’s something of an unsung hero, because – along with the under the hood changes made in iOS 12 – it ensures the phone runs smoothly and quickly without any issue. And should hopefully mean a phone that stays that way for years to come. Perhaps that way you can also justify the initial cost of the handset. It will stay immensely useable for a considerable amount of time, without suffering from the post 12 month lag you sometimes find with older devices, particularly when new software is released. Gaming on the iPhone XS Max is as smooth and stable as you’d hope. Games load quickly and characters on screen respond to input and touchscreen gestures without any hesitation, which is also partly down to the 120Hz touch sensor response rate. For smaller iPhones from the past few years (iPhone X not included) one of the biggest complaints from users is battery life. For the bigger devices, that’s rarely an issue, and the same is true for the XS Max, which comfortably lasts a full day without even breaking a sweat. Even on the first day of use, with over 120 photos and videos shot on the camera, playing at least 30 minutes of games plus the usual drain that comes from setting up a phone, we still managed to get to bed with around 39 per cent of it left over. On a regular, moderate day with still plenty of time (around 2 hours) using Bluetooth to listen to music and a Garmin fitness watch connected, we ended the day with around 50 per cent left over. For the heavy user, we suspect even the most demanding of days won’t drain this battery. For moderate users, a day and a half isn’t unreasonable. Despite the fact we could probably have pushed it into a second day, we just fell back into the routine of resting on its wireless charging base and letting it top up over night while we slept. One thing iPhone is missing here – compared to many others – is a fast charging wired charger in the box. Despite its size and capacious battery, the iPhone XS Max ships with the same 5W wall adapter and Lightning cable it’s always shipped with. That means, unless you use a MacBook’s more powerful power adapter or buy an upgrade, you’re going to spend a long time waiting for it to go from zero to full. Compare that to the likes of OnePlus’ Dash Charge technology – which can get a battery enough juice to last a full day from just 30 minutes plugged in – and it’s worlds apart. Moving from an iPhone 8 Plus, or older model, you may be worried about losing your fingerprint sensor, but with Face ID, we actually found unlocking our phone just as convenient and speedy, if not more so. 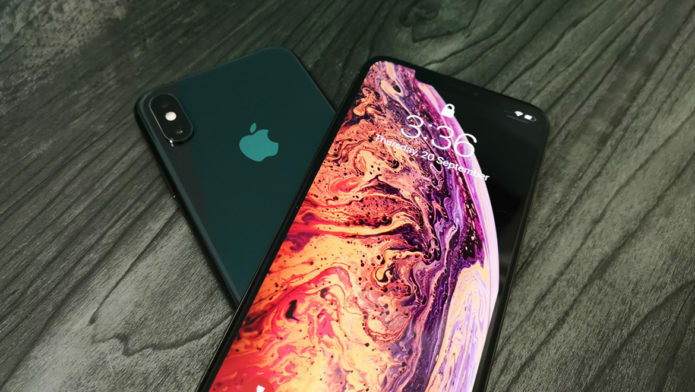 With the lift-to-wake feature switched on, all you need to do is lift up your phone while looking at it, and the phone is normally unlocked before you even touch the screen to action the swipe-up-to-unlock gesture. It’s super easy, and hasn’t failed once in our time with the device. 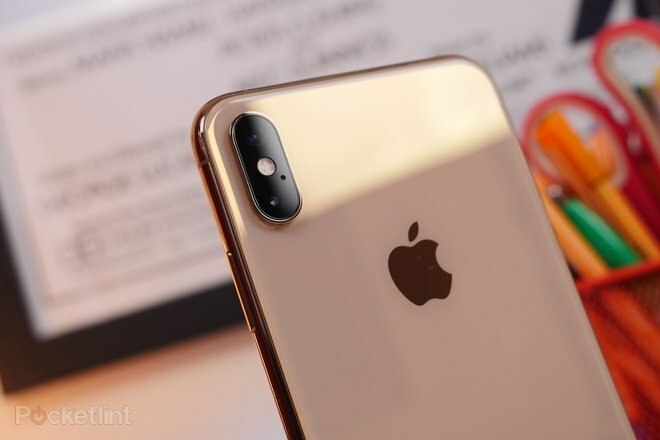 iOS 12 was launched to be part of Apple’s plan to get your old iPhones running for longer, speeding up your phone an lightening the load on your old processor. What that means in turn is that brand new phones run really smoothly, but there are some new UI elements and features, particular for those using iPhone X. Having multiple notifications truncate into a single expandable pile is really useful, particularly if you have a busy social media presence, or receive tonnes of notifications. Tap to expand or swipe across to perform bulk actions (like clearing them all from your lock screen). For iPhone X, XS or upcoming XR series devices there’s the ability to make use of the fun, playful animated emoji that react to your facial expressions. 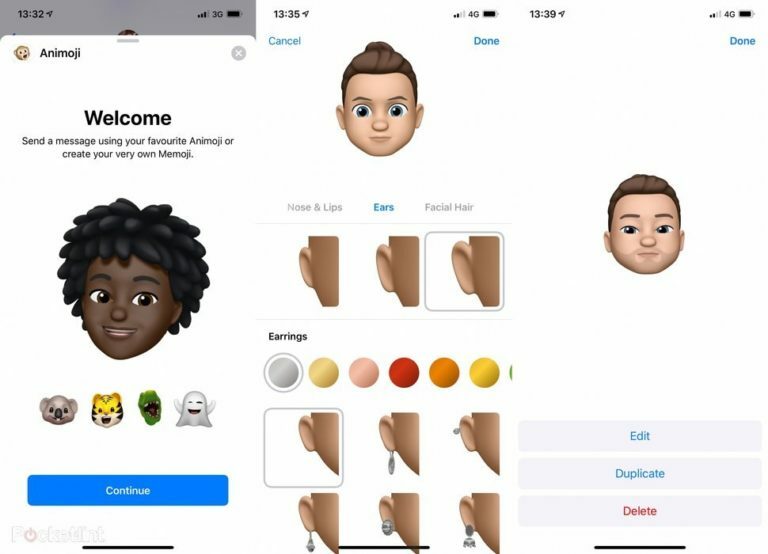 With iOS 12 you can also create your own emoji character called a Memoji, that you can either make look like you or whatever you want, choosing face shape, skin colour, eye colour, eye wear, facial hair and a lot more. While it’s not as easy as Samsung’s method that scans your face and generates an emoji character for you, it does mean you can make it look vaguely like you, unlike Samsung’s, which inevitably doesn’t. As for Siri shortcuts, that’s something that’s still in beta mode. Or at least, the full app is. Once officially out, you’ll be able to craft your own recipes for Siri to action. For now, that’s fairly limited to some stock app actions, like navigation in Apple Maps, or sending pre-written messages to a specific contact. 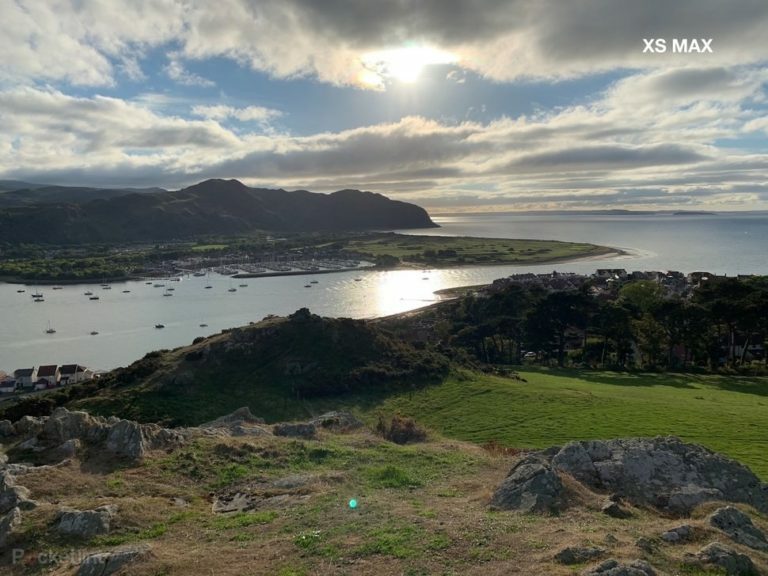 Part of this is a feature called Smart HDR that’s turned on by default. What it means is that even when you have some fairly intense backlighting from the sun, you can still see details in the shadows and dark areas, and colours are still vibrant and attractive. Even more impressive is that when you take the photo, there’s nothing to indicate that it’s working on the processing. You snap the picture, and it’s saved as simply and quickly as if you’re taking any photo. The end result is generally impressive, looking detailed, colourful and as detailed as you’d hope in challenging conditions, without over-boosting contrast too much. Even with faces in complete shadow with a backlighting sun, the camera still manages to pull out some detail from the face. One other headline feature is the new ability to adjust the depth effect during portrait mode shoot. 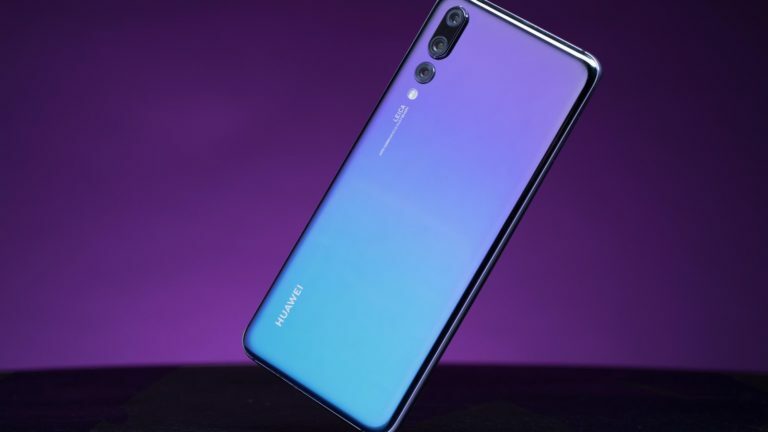 It works in a similar way to Huawei/Honor’s aperture mode in that you take your photo in Portrait mode, and you can slide over an on-screen control to change the aperture, adjusting the depth of field and increasing or decreasing the blur. While cranking up the blur often has the unwanted effect of making the blur seem far too unnatural, decreasing it has the opposite impact. 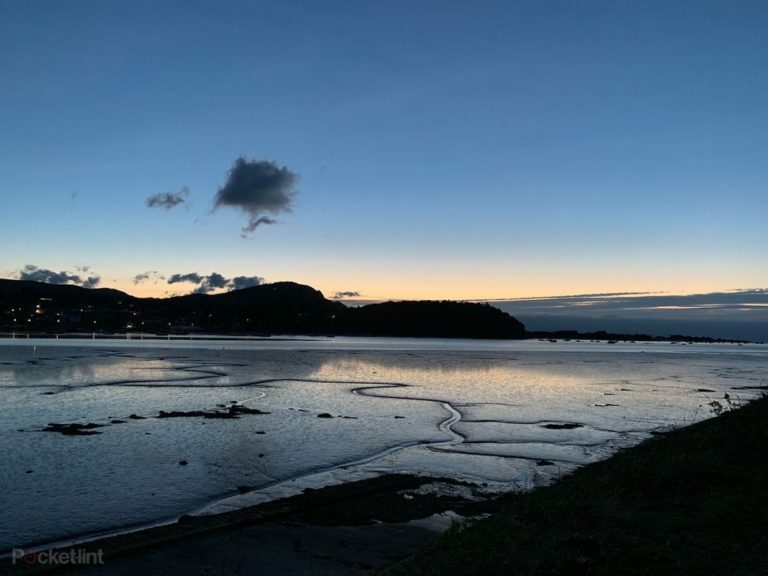 In fact, that’s probably this feature’s strength: it gives you the ability to make your portrait mode photos – complete with artificial lighting effects – less unnatural. As an overall experience, the iPhone XS Max is hard to fault. It’s fluid, fast and effortless, and is a premium package that looks and feels great in the hand. 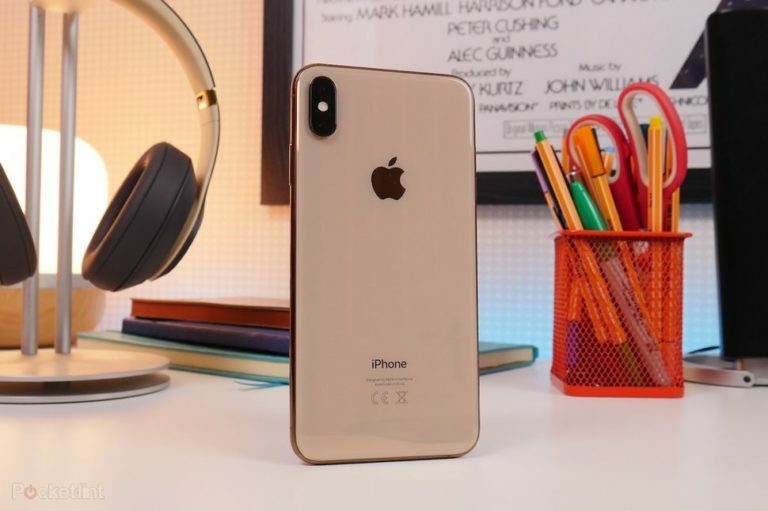 It may be too big for some, or too expensive for others, but there’s always the iPhone XS for those who think the former, and the upcoming iPhone XR for those who think the latter. 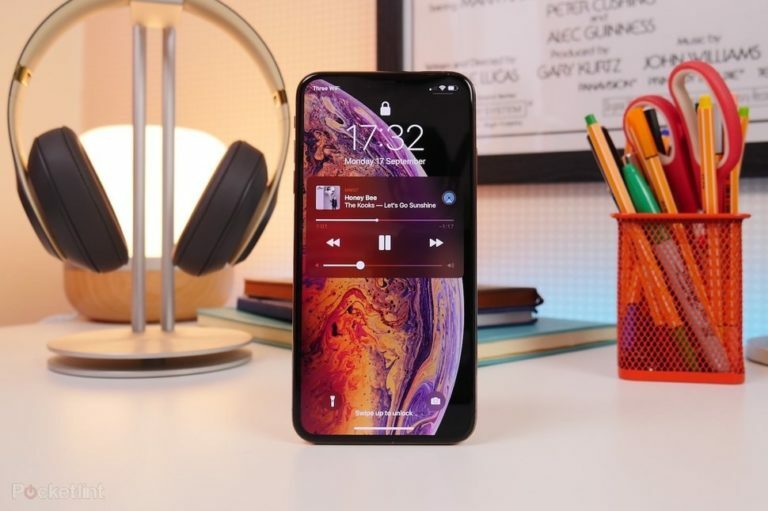 If you want the biggest, baddest iPhone in town, the XS Max is the one for you. It’s glorious. 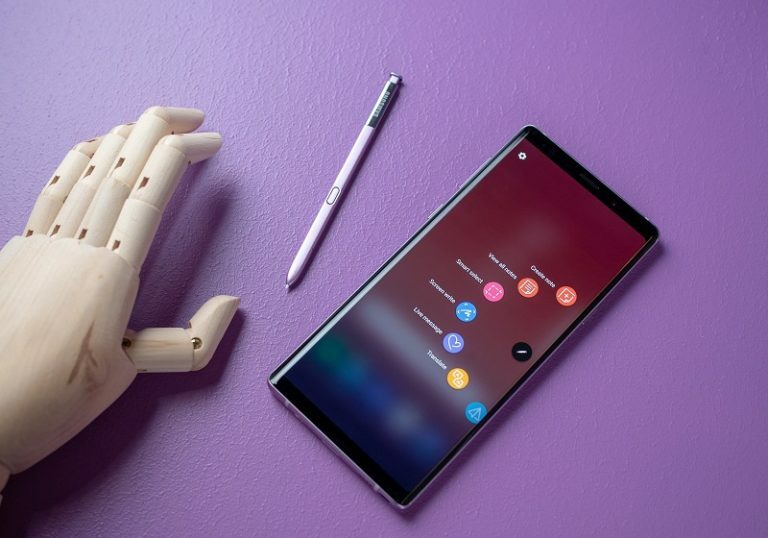 For years Samsung has provided the most consistent competition to Apple in the flagship smartphone game, and with the Galaxy Note 9 it has one of the best big-screened devices out there. The display might not have the same visual impact or skinny bezels, but it’s fantastic, and it has the S-Pen, which for many is a great additional tool. Plus, like every other big alternative to the XS Max, it’s cheaper. 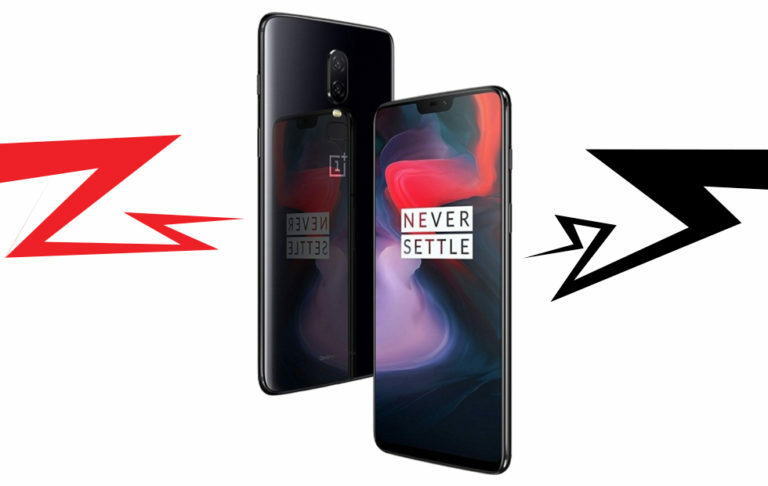 You would think that it would be an exaggeration to say “you could buy two [X phones] for the price of an iPhone XS Max”, but in the case of the OnePlus 6, it’s literally true. With its starting price of £469, you’d have plenty of change left as well. It might not offer the surgical steel frame, tight-ecosystem or market-leading customer service, but its 6.3-inch display is bright and colourful and the fast charging is superb. It also happens to be speedy and smooth with all-day battery.